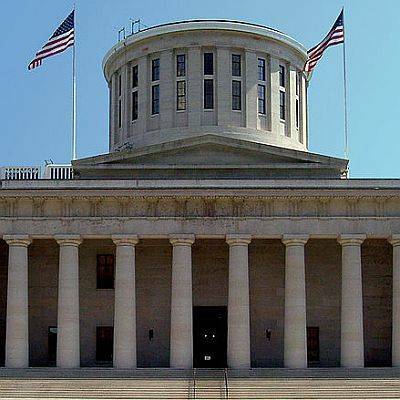 COLUMBUS — There’s no clear path for the legislature to change the state’s report cards for schools and districts by the end of this year, though some still hold out hope for a vote. There has been a push all year by many legislators and members of the state school board to re-work how the state reports results of state tests to parents and the public and how it rates each school and district. The biggest block: Gov. John Kasich’s support of grading schools and districts on an A-F scale, which is a main target of those seeking change. For now, legislation to change the cards may have a hearing soon with the Ohio House Education committee. But Chairman Andrew Brenner is hesitant to move forward and run into a block from Kasich. Brenner also says that other legislators are not sure exactly what changes they want, or even if they want change. “I think this is something that’s probably going to have to be kicked into next year,” Brenner said, while leaving the door open for small adjustments. But State Rep. Mike Duffey, a Worthington Republican who introduced House Bill 591 earlier this year to make changes, still hopes for a vote, even if Kasich might veto them. “We need to have a sense for where the legislature is on changing report cards,” Duffey said. Going to a vote would force serious debate, he said, while showing how much support he has. A vote would force Kasich to veto changes and the legislature might be able to override the veto, he added. The changes were all recommended this summer by a “workgroup” set up by the board and the Ohio Department of Education. If the legislature does not pass changes this year, new people will be part of the debate. Duffey leaves office at the end of the year, some state board members could be replaced by new Gov. Mike DeWine and it is unclear who will head the House Education Committee. Brenner just won election to a state Senate seat and is leaving the house. Some have suggested State Rep. Robert Cupp as a replacement, but the Lima Republican said last week he does not want the position and does not know who might fill it. Duffey said several other legislators have said they will reintroduce similar changes in the next general assembly if they do not pass now. DeWine backed making changes to report cards during the campaign, promising on his campaign website to “develop a school report card that parents can understand.” Confusion over interpreting some graded report card measures that aren’t intuitive - like “Value-Added,” “K-3 Literacy” and “Gap closing” - have been major complaints. DeWine has also pledged to reduce state tests and provide “more meaningful and timely results,” but has not addressed the controversial A-F grades. A spokesman could not provide any update Monday.